Unless you buy some collectible exotic, you can bet that your sweet new ride is going to depreciate in value as soon as you drive it off the lot. But some cars take that hit much better than others. Kelley Blue Book has released their best resale list for 2019 is it’s mostly what you would expect, except for a surprise entry from a German brand. At Kelly Blue Book they also have resale values at 36 months. 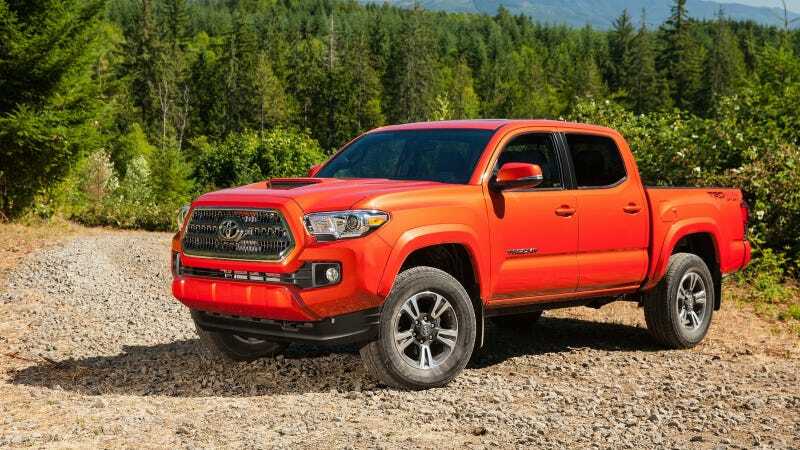 This year the Jeep Wrangler leaps over the Toyota Tundra to take the number two spot, while the Tacoma remains king. The perennial Ford F-150 moves down a few notches to the number nine spot and the Honda Ridgeline—or as I like to call the truck for smart people who know they don’t need to tow an entire house—gains a few spots. The Subaru WRX, which sneaked in the number 10 spot last year, has been replaced by the Porsche Macan. Having the Macan is in the top resale list is not expected as luxury cars, in general, tend to take a drop pretty hard, and the Macan is Porsche’s largest volume selling car. Yet it retains 65 percent of its residual value in the first three years, which is better than a lot of the pickup trucks on the list. While some folks may not love the fact that Porsche’s strongest selling car is a crossover, most of the Jalopnik staff agree that the Macan feels much more like a hot-hatchback, albeit a very expensive one, than a lumbering CR-V.
For more details about Kelley Blue Book’s resale rankings including a breakdown by brand and vehicle category check out their full report.